The Royal brand provides the customer with an opportunity to evaluate the professional hair stylist products. The historic brand is marked with the Crown symbol because this product line-up crown the most attractive people ever! The products line is made up of strong hold gel, and water wax. Both products have four different fragrances. A simple but well-finished packaging and a sparkling but at the same time professional printing, dress up this line in a highly professional way. Royal gels have been formulated to hold the hair for a long time without stress. This kind of gel doesn’t become greasy and leave residue. Hair styled with Royal, displays a fresh hairstyle as if just brushed, with a permanent wet hair look. 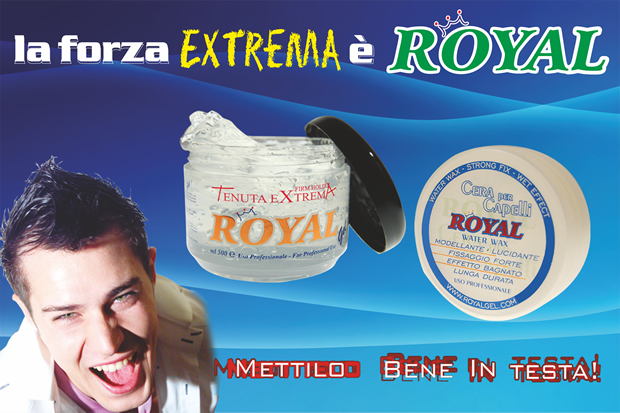 Royal wax, offers a high modeling capacity, the formula works on every type of hair because it creates both a calm or crazy (styled) look, in short or long hair. The wax can be used on slightly damp or dry hair and still get the same results. 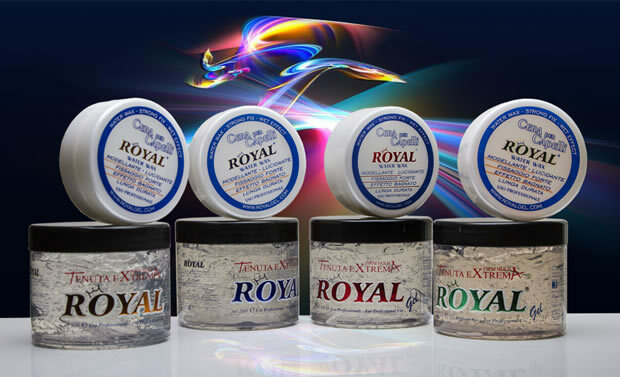 The Royal line waxes are waterproof, sunproof and have a long lasting effect. All the Royal products are avaliable in four different intense fragrances from any of the major companies, and provide you with a unique look!